Animated Film Reviews: Concept Art from "Frozen"
"Frozen" is the most successful animated feature film in history. Everybody seems to love it, and Disney continues adding attractions at Walt Disney World devoted to the film and its popular princesses. Thus, any information that dribbles out about the creation of "Frozen" is of interest to fans and industry watchers alike. Disney virtual development artist Cory Loftis posted some concept art from the film that was hand-drawn. This art gives a good idea of what the film would have looked like if it were completed in this manner. 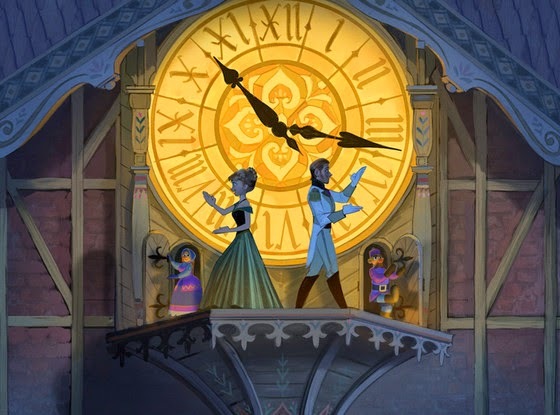 As you can see, there is some artwork from the "Love Is an Open Door" duet between Anna (Kristen Bell) and Hans (Santino Fontana). 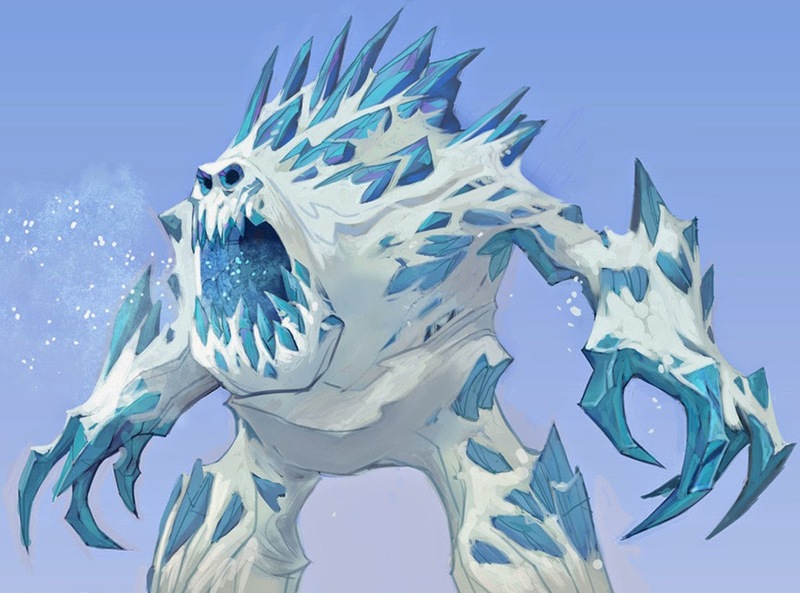 The snow beast "Marshmallow" and the wolves menacing with Anna and Kristoff (Jonathan Groff) also appear. The "Frozen" project originally was titled "Anna and the Snow Queen." It was envisioned early in the development process as being drawn in the style of "The Princess and the Frog." However, that film didn't do as well as hoped at the box office, so a more standard CGI approach was adopted. Obviously, this was a good choice.